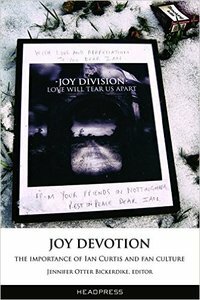 Joy Devotion: The Importance of Ian Curtis and fan culture explores the lasting legacy in the fan, post-punk and dot.com economy of Joy Division lead singer Ian Curtis, and what such dedication says about the larger issues facing us in a modern world. 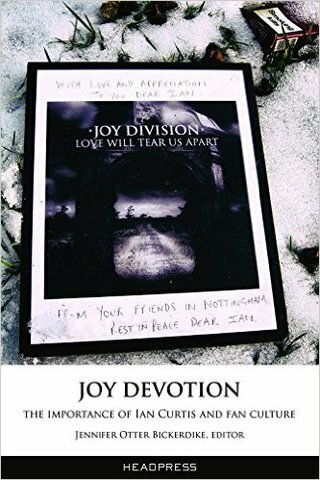 Essays on Curtis, exploring ideas of memory, death, technology, fandom and secular religion will be complemented by photos taken at the Ian Curtis Memorial Stone every month for a year, beginning fall 2009 through 2010. 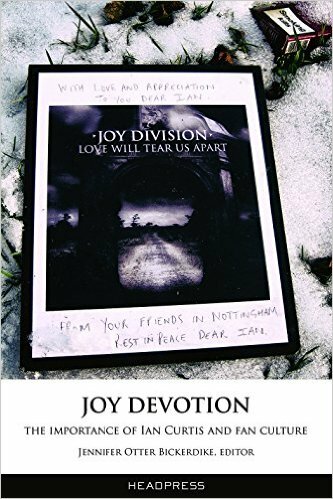 Stakeholders in the Curtis legacy, from fans to artists, contribute their personal insights, allowing for intimate and never before allowed access to the very people who Curtis has continued to influence and inspire long past his untimely death in 1980.